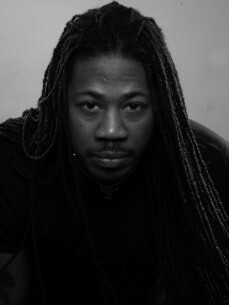 Chicago resident Ron Trent became a DJ in his early teens in the mid eighties, releasing his first record ‘Altered States’ in 1990 to much acclaim.A perennial presence in music since the early 90's, Ron Trent pulls no punches! Considered to be one of the architects of the Chicago music scene, Ron studied and collected various types of music as a young boy, taking cues from his father who ran a record pool in the late 70’s. Later, becoming a respected DJ in his early teens in the mid 80’s. Ron began to work on his own productions, which lead to his first release, the highly recognized classic "Altered States" in 1990, giving him international acclaim. Through his 13 year old Prescription Records, Ron has notched up an extensive back catalogue of his own productions and introduced several key players. Prescription Records is widely regarded as one of the most influential Deep House imprints of the period. In the early 90's, Ron collaborated with House/R&B team Hula & Fingers, producers for Jive records and production credits with Jazzy Jeff & The Fresh Prince, Kool Mo D, High Five, Lidell Townsend and MTF. Under the direction of Hula & Fingers, Ron began to develop his skills as a producer and musician by incorporating his training as a percussionist along with developing skills on the keyboards. After several releases on Club Records, Hula & Fingers classic imprint, Ron went on to form his own label with renowned vocalist/producer Chez Damier. In 1993, Ron and Chez began creating the template for what would become the signature Prescription sound, eventually finding it's way into various remix and writing production hits, and implementing the conception of Prescription Records. Prescription Records, together with it's sister label Balance, introduced the likes of Anthony Nicholson, Abacus, Glen Underground (CVO), Moody Man, Norma Jean Bell, Joshua, Peven Everett, Rob Mello, and Luke Solomon to the world. During its course, Prescription Records became known for issuing superbly produced, often epic dance music by drawing influences from all over the globe and delighting club goers, as well as DJs with its highly unique sound. Ron's sound expanded in 1997 with the release of the dance classic "Ncame U”. With writing partner Anthony Nicholson, famed vocalist D'bora, and Peven Everett on trumpet, this record launched Ron onto the NYC dance scene. After Ron's move to NYC, he quickly gained respect as a DJ/Producer by doing various gigs at Body and Soul, Shelter and hosting his own events at the legendary nightclub Vinyl in downtown Manhattan. Ron’s DJ and production skills caught the attention of the owners of Giant Step. Together, they began to create a new sound that would lead the way for the future of Giant Step the club and Giant Step the label. In 2000, Ron started his residency with Giant Step at Shine, bringing forth a fusion of Neo Soul, Jazz Funk and World music, while merging it into a dance formula. The party, “Giant Step Weekly Sessions”, sponsored by Levi's and Evian, played host to many loyal weekly followers. With Ron's vast knowledge of music and Giant Step’s thirst for the cutting edge, the event became one of the most top rated nights in NYC. Ron's in house productions on the Giant Step/Sony label, featured artists such as Amel Larrieux, Jody Watley, Anastacia, Donnie, Carl Hancock Rux, Lina, Jill Scott, Eyrkah Badu just to name a few. His productions lead him to work with other greats including Tony Allen, Chucho Valdes, Papa Weba, 4Hero, Amp Fiddler, Groove Collective, as well as various other world artists. Outside of running his record labels, Prescription and the new imprint Future Vision, Ron continues his work as an international DJ. After 5 years of the famous Africa Hi FI events locally in Chicago Ron continues to champion his sound can at his residencies City Beat and Rockers.